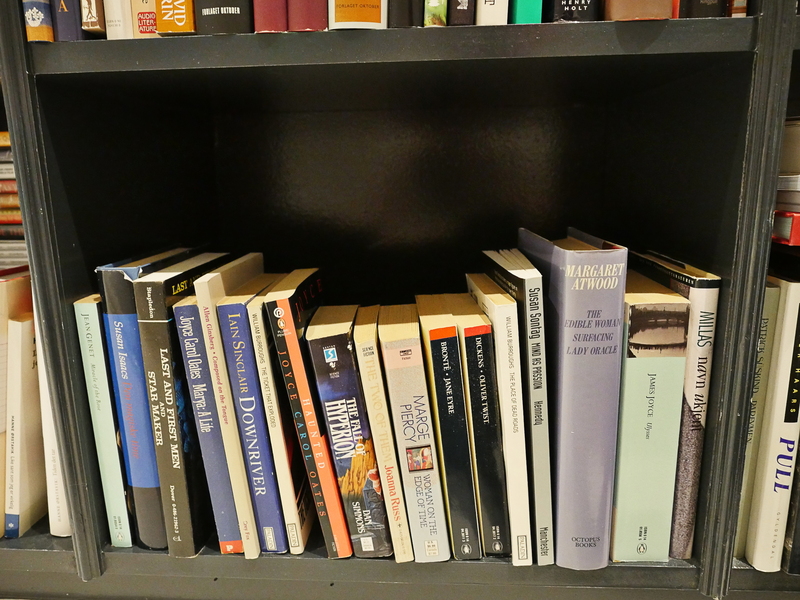 Like everybody, I’ve got a bookcase of unread books, but perhaps weirdly, mine is organised along a simple principle: Older books sink towards the bottom. That is, as I read books, I compact the rest and move them towards the bottom left. The last couple of years I’ve read very few books, and have instead been reading comics and comics and comics, and I’m totally burned out on that. So what better way to get back into reading books again than to take a whack at those books that I’ve been avoiding reading most of my life? That’s the selection. 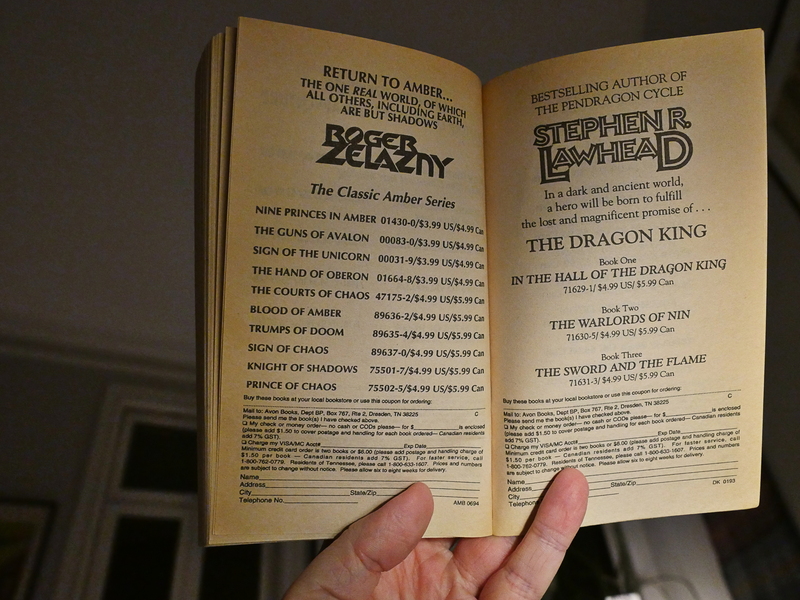 I think the oldest ones here have been with me since the late 80s, probably… and somehow I’ve never gotten around to reading them because other books have seemed more urgent. 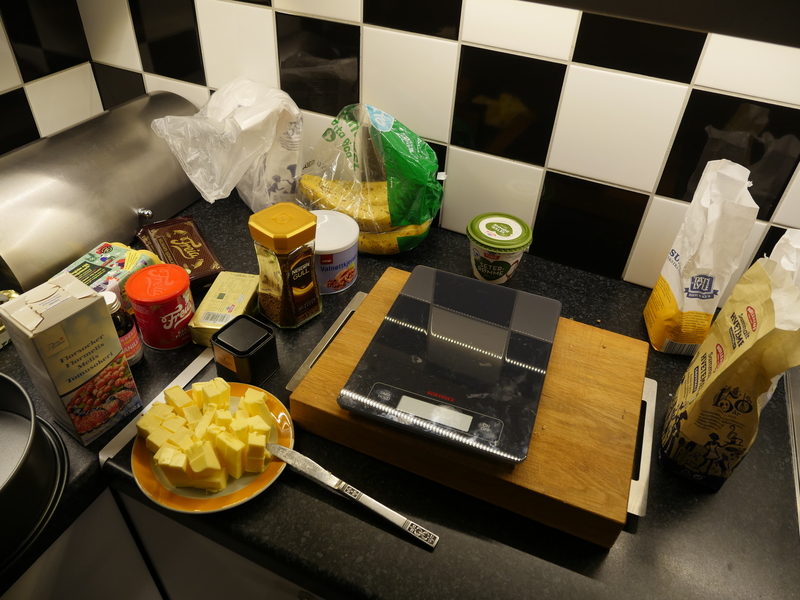 But to entice me to make headway here, I’m also going to teach myself how to bake cakes and cookies. 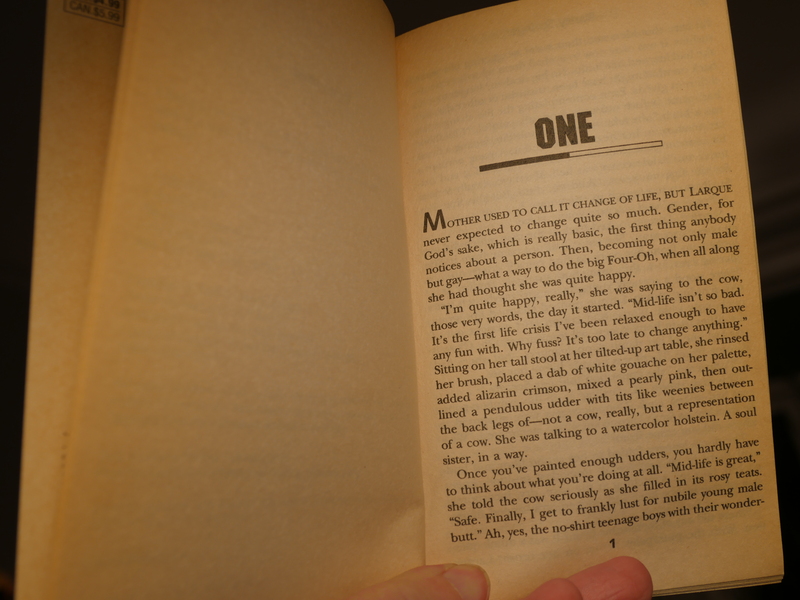 One cake, one book. Cake, Cookies, Crumpets and Books: CCCB. Let’s aim for… one per week? 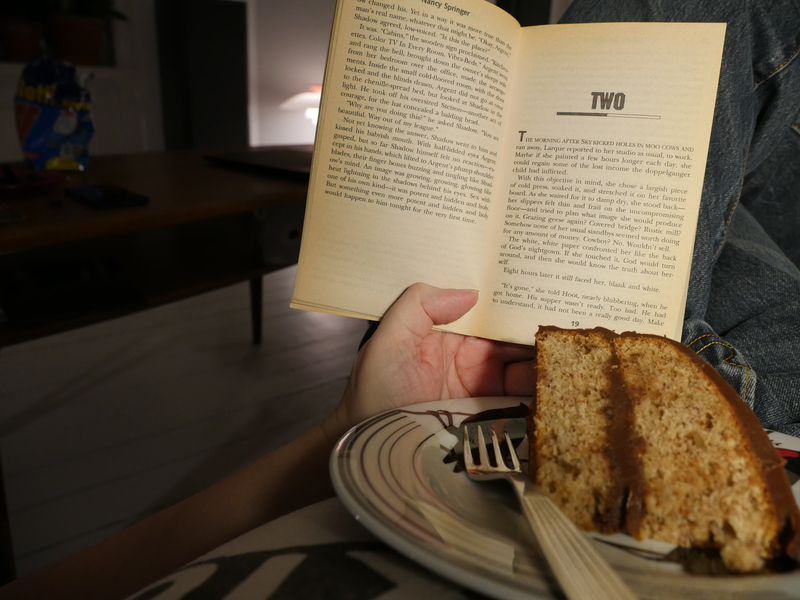 And I can read other books in-between while finishing off the cake. Do I have all the ingredients? Yes! 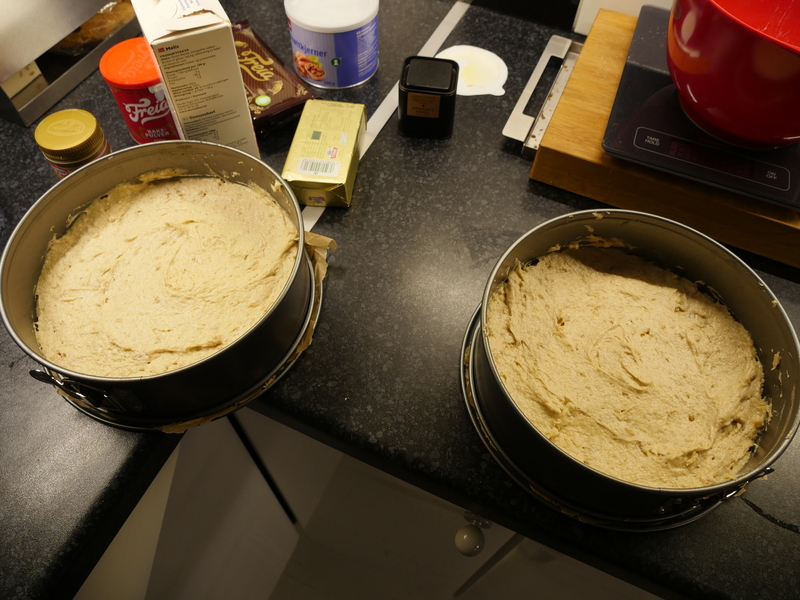 I ate too much of the dough. I’m allowed! 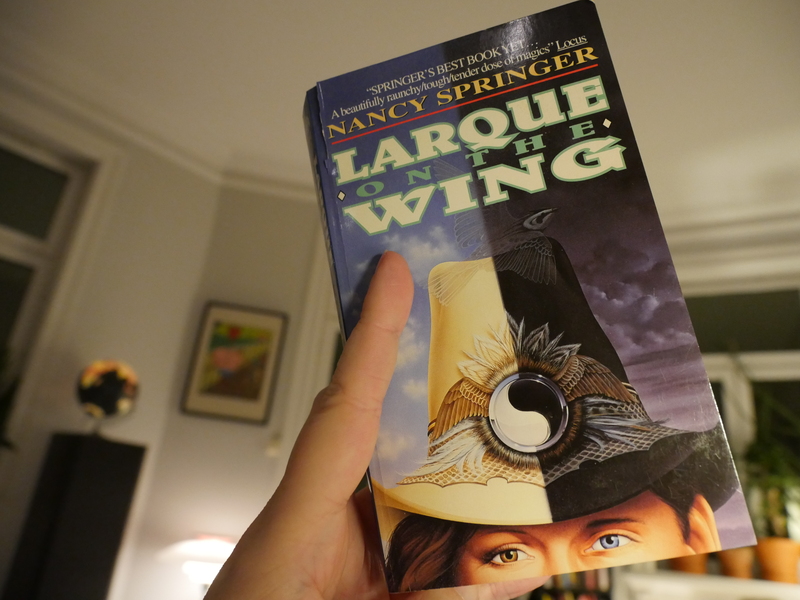 For the book I chose Larque on the Wing by Nancy Springer, which I’ve always pronounced in my head “Laroque” when I’ve decided not to read it, several times per month, the last 24 years. It’s a very witty, and strangely unclassifiable book. It’s not quite a fantasy, but it’s not quite a non-genre book either. It reads more like a magic realism book? But it’s marketed as a a fantasy book. 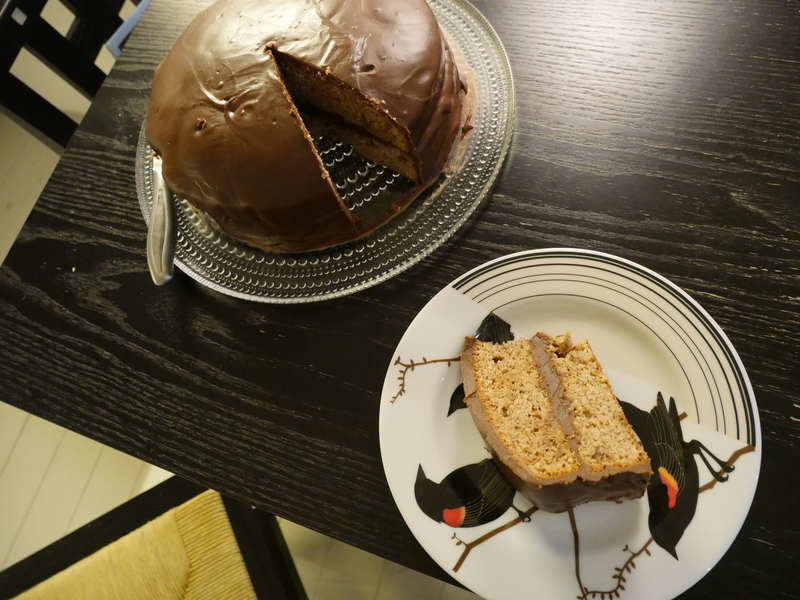 Hm, it came out dryer than on the picture on that blog… but it’s been in the fridge, so I should probably let it sit on the table a few hours to get back to room temperature. 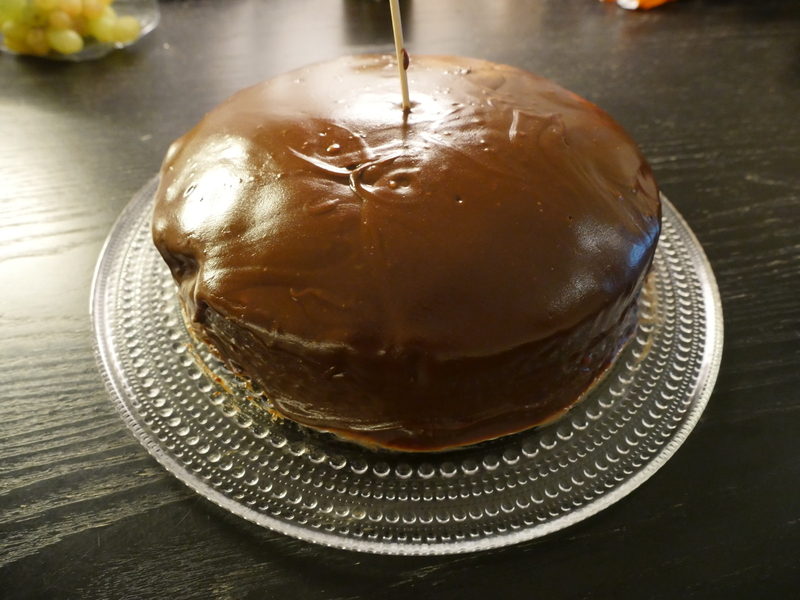 But it’s really more like a banana bread with a chocolate covering than a cake, really, which isn’t quite what I wanted. 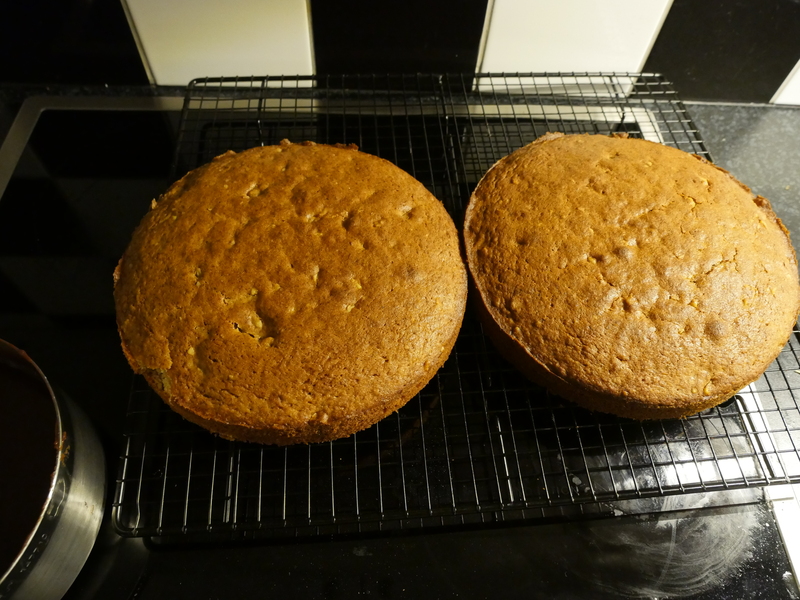 But it’s a pretty good banana bread, anyway. 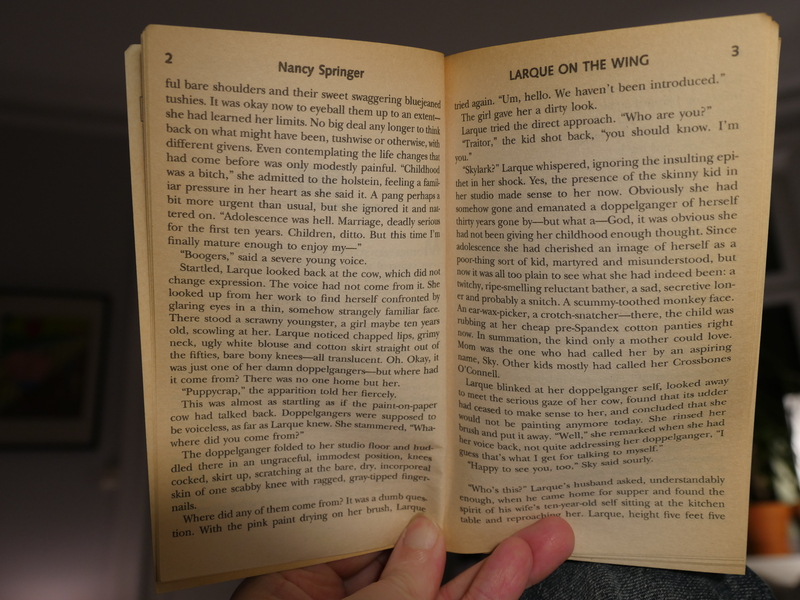 And it pairs well with the sinister whimsy of the Nancy Springer book. Which is very good, indeed. I never know where it’s going. One thing I find upon returning to books after this hiatus is that I’ve aquired some bad reading habits, probably from spending too much time reading blogs: My eyes have started skipping past text I think I know what’s going to say. They slip into skimming mode for short periods of time. And that doesn’t work with this book at all, because just about any sentence here doesn’t go the way you think they’re going to go. But you can’t fault the fabulously climactic confrontation at the end, wart hog and all. I was surprised to note that 44% of the pending reads were written by women — a high percentage on any man’s shelf. And only one in Danish? Which from the title would appear to be about a Jovovich and doppelganger.